You'll love these cute little pink cyclamen flowers on attractive, marbled foliage. They'll brighten up your winter! 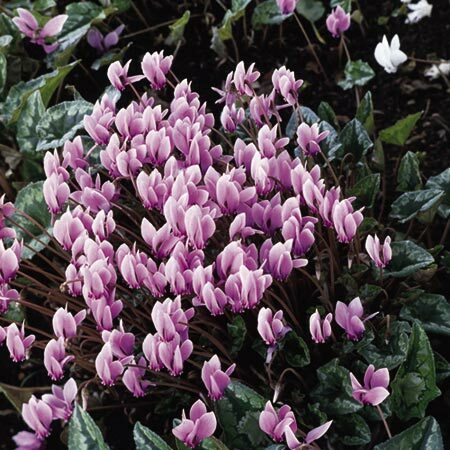 Superb plants to naturalise in a shady place in the garden and bring glorious winter colour to a dull area. Height 7.5-15cm (3-6"). HP - Hardy perennial.